Jeanne H. Ballantine is Emerita Professor of Sociology at Wright State University, a state university of about 17,000 students in Ohio. She has also taught at several 4-year colleges, including an “alternative” college and a traditionally Black college, and at international programs in universities abroad. 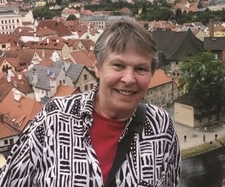 She has been teaching introductory sociology for more than 30 years with a mission to introduce the uninitiated to the field and to help students see the usefulness and value in sociology. She has been active in the teaching movement, shaping curriculum, writing and presenting research on teaching, and offering workshops and consulting in regional, national, and international forums. She is a Fulbright Senior Scholar and serves as a Departmental Resources Group consultant and evaluator. Jeanne has written several textbooks, all with the goal of reaching the student audience. As the original director of the Center for Teaching and Learning at Wright State University, she scoured the literature on student learning and served as a mentor to teachers in a wide variety of disciplines. Local, regional, and national organizations have honored her for her teaching and for her contributions to helping others become effective teachers. In 1986, the American Sociological Association’s Section on Undergraduate Education (now called the Section on Teaching and Learning in Sociology) recognized her with the Hans O. Mauksch Award for Distinguished Contributions to Teaching of Sociology. In 2004, she was honored by the American Sociological Association with its Distinguished Contributions to Teaching Award. In 2010, the North Central Sociological Association awarded her the J. Milton Yinger Award for Distinguished Career in Sociology.